Come with an empty suitcase and let Tracy Gold help you fill it with pieces that suit your body shape, personality, lifestyle and budget. The Italians are well known for their sense of style. You too can discover your own sense of style in the beautiful cities of Milan, Florence or Rome. While both cities have an abundance of places to shop, it can feel overwhelming. Tracy Gold will assist you to sift through all your options to find what suits you best. 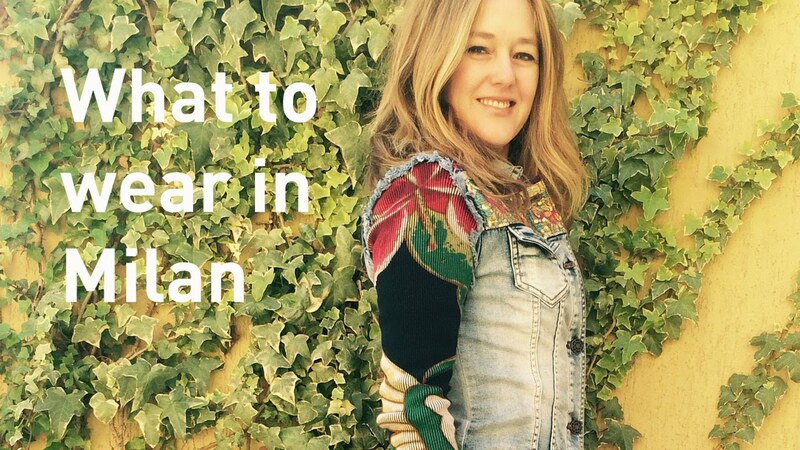 Meet her in either Milan, Florence or Rome and experience a full day wardrobe makeover. Tracy Gold will help you refine your existing wardrobe by teaching you what works for you, what doesn't and why. She will also teach you her effective shopping techniques that will save you a fortune and keep you from making the same expensive fashion mistakes again. Security Check What does 9 + 7 = ? 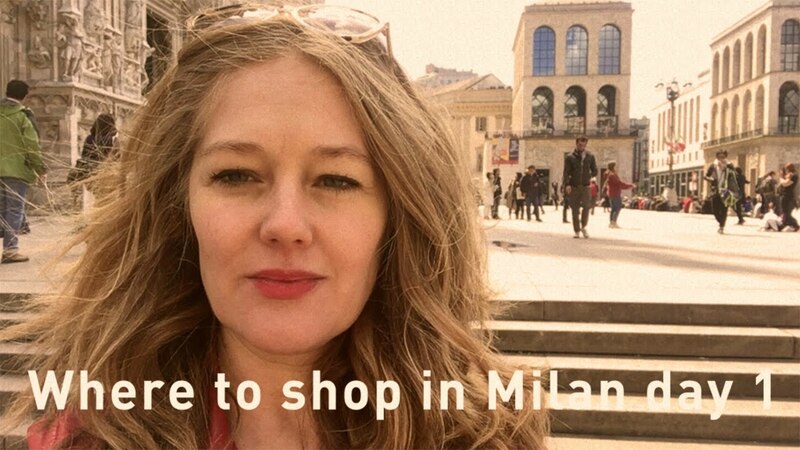 I am in Milan for a few days for a shopping trip. 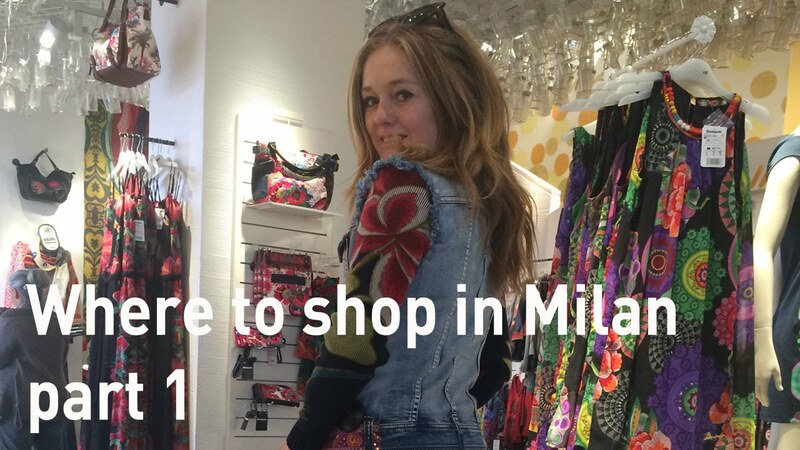 I am going to show you some of the best and most interesting places to shop in Milan. On day 1 I am heading out to one of the main shopping strips, Corso Buenos Aires. Here are some of my highlights. Nau sunglasses and eyewear. They make beautiful Italian designed and made sunglasses. GA Accessory has gorgeous Italian made handbags at affordable prices. Orleans store has a wide selection of Italian made boots and shoes for €30 per pair! 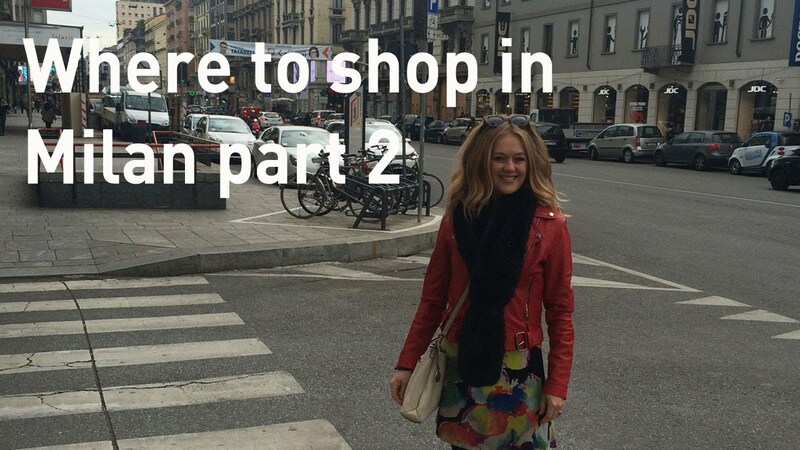 For day 2 of my shopping trip in Milan, I show you where to shop in the Brere District. The best way to get to the main part of Brere is by train. Take the Garibaldi station. From there you can walk into Corso Como where the famous concept store, 10 Corso Como, resides. They sell high price items at about €1000 per item. There are also some interesting stores in this square. For example, Roberto sells cashmere scarves at a reasonable price. Follow via Garibaldi into the quiter part of town. Here you will find some vintage and interesting stores offering Italian designed and made clothing, jewellery and accessories. For example, Gum handbags and Vitti Ferria Contin jewelery store. I found a market in Via San Marco that is open on Thursdays and Sundays. It has fresh local produce, designer brands for lower prices, vintage handbags and cashmere scarves. I'm in Piazza Duomo for day 3 of my shopping trip in Milan. There are so many places to see. Come along with me as I show you places to shop at every budget. If you are walking from Corso Buenos Aires, when you get to the top, there is a fort. Continue onto Corso Venezia. This will take you all the way up to Piazza Duomo. There are also stores along this street, so walking is best. If you love designer brands and you don't have much time, laRinascente is the perfect place for you. It has 11 floors full of designer brands ranging from Stella McCartney, DVF, Gucci, Pucci and more. There is also a floor for cosmetics and perfume. Further down the road is a hip happening store JDC. Don't be afraid to go in if high fashion isn't your thing as you may be surprised what you may find. For example, these flatforms are €60 as appose to the Stella McCartney flatforms for €600. On a street off Piazza Duomo called Via Alessandro Monzoni, there is a store DMAG Outlet. They have an amazing selection of designer brands and knock down prices ranging from €750 - €250. That being said, I got this beautiful Decute leather jacket fro €129. Make sure you have time as there is a lot to see and it may take you time to find something you like. I am in the Navigili district for day 4 of my shopping trip in Milan. For vintage lovers, this is heaven. It's the last Sunday of the month, which means that the vintage market is on in Navigili. This market is amazing. There are hundreds of stalls offering all things vintage including clothing, designer handbags, books, cds, furniture etc. The price points vary so there is shopping for every budget. If you can't make it to the market, come down to Navigili during the week rather than on a Saturday. I arrived on Saturday and there were only a few stores open due to the May day weekend. Then those that were open close for lunch during 12:30 - 15:00. I am in Milan and I'm ready to go on a shopping trip. I've done some research and some looking around. Now I would like to show you some of my favourite places. 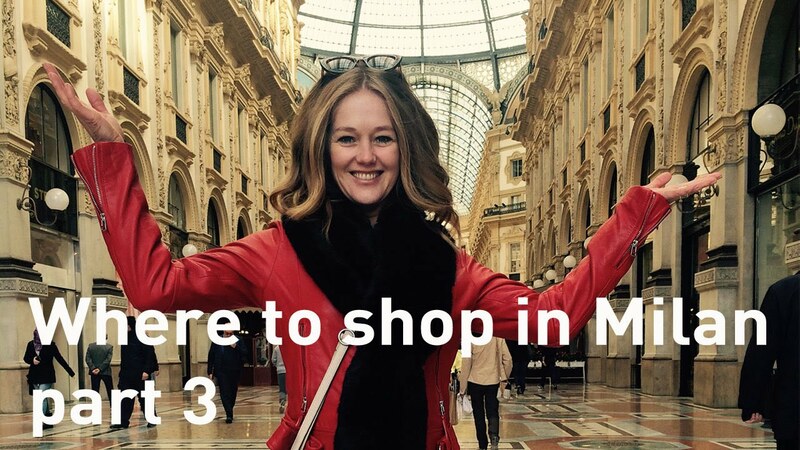 Before we start, here are a few tips to shopping in Milan. 1. Stay in the city centre so that it's easy to get around. 2. Walk rather than taking a bus. You will see so much more and you will find those little unexpected stores. 3. Wear comfortable, stylish shoes so that you can walk around with ease. Now for some of my favourites places to shop. I am in the shopping strip in Corso Buenos Aires street. Two of my favourite places are Astradivarious and Desigual. See what I found in these stores. Walking toward Piazza Duomo, I found an amazing designer outlet store and a fabulous vintage market. Matia's designer outlet stocks designer brands such as versace, cavelli, armani etc at discounted prices. There is everything from classic pieces to crazy and fun. I stumbled upon a vintage market in Europa Street. Here you can get vintage designer handbags and jewellery. Vintage in Italy means designer brands such as Gucci, Pucci and more. 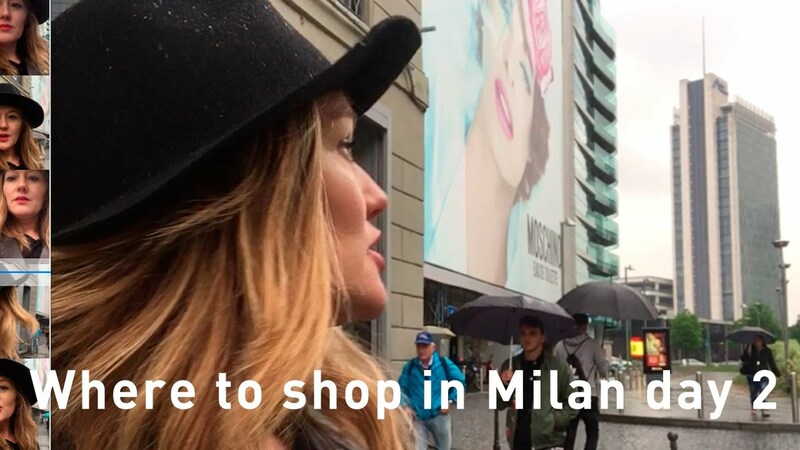 In this video, I show you where to go in Milan to shop high end designer brands or high street stores, depending on your budget. If you want to spend all of your euro on one item, then the Galaria is the place to go. They house all the top designer brands from Gucci to Prada. If you want your budget to stretch a bit further, then step outside the Galaria and shop around the streets of Piazza Duomo where there are numerous high street stores such as Zara, H&M, Mango etc. 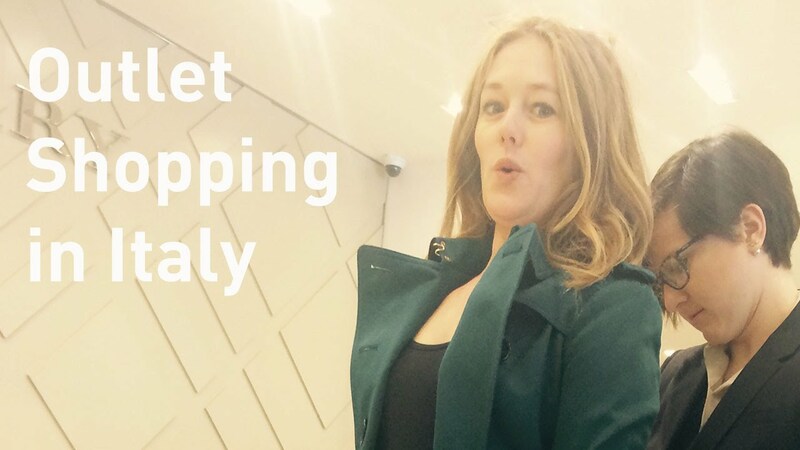 If you want to know where to get high end designer labels at massively discounted prices in Italy, then this video is for you. Sarravella is 1 hour outside of Milan. It's a designer outlet that houses all the top brands. The stores sell previous years collections but at 50 - 70% off the normal retail price. I went into Burberry. I've had my eye on a gorgeous trench coat. I tried one on and had an amazing experience. It was discounted from €2000 to €1000. When you go to a store at Serravella, you don't have to sift through all the rails of rubbish to find one small jewel. Going to Serravella is like having a designer brand experience at a discounted price. 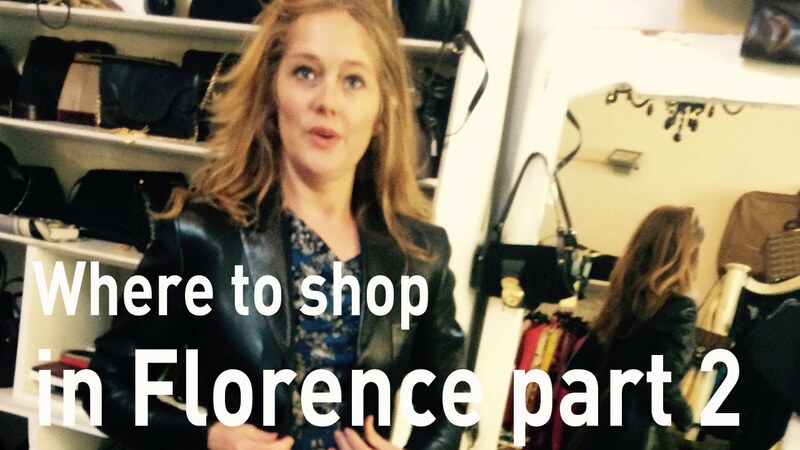 Florence is a magical city with shopping for everyone at every budget. There are not only high end designer stores, but also high street stores, vintage shopping, market shopping and everything in between. You can also find stores that sell items from Italian designers. Make sure that when you come to Florence make sure you pack comfortable, stylish shoes because you are going to want to walk around. That's how you are going to find the gems. Don't be afraid to go off the beaten track and main roads in the city. It is safe enough and it's worth your time and effort. Take a few Euros in cash with you too. Many of the smaller stores don't accept credit cards. Especially the restaurants and cafe's. Make sure you don't come on a Monday as the smaller stores are closed. They open Tuesday - sometimes Sundays from 10h00 - 10h30am onwards. I'm going to show you some of my favourite place in the next few videos so you can get a feel for the city and where are the best places to shop. 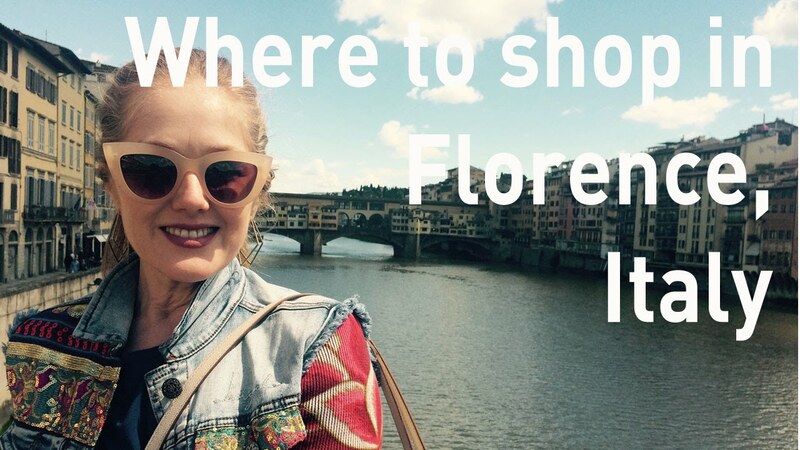 In this video, I show you where to go for vintage shopping or just something a little different, in Florence Italy. You need to cross the canal to find some real gems. Vintage shopping in Italy means, you can pick up high end designer brands at massively discounted prices... because they are old. In this district, I also found some accessory stores that stock jewellery and beautiful bags that are different from the many handbags you will see around Florence. Why don't you come with me so I can show you what I found. Once you cross the bridge, find the street Via di Serragli. Here there are a few vintage stores right next to one another. They were a little difficult to find, but it's worth the effort. Be aware, that most of the stores in this district are not open on a Monday. If you want something a little different, but not necessarily vintage, Vincent Croce is a good store to check out. A little further down, in Piazza San Felice is a little store called Celeste Vintage. This is where I found this Gucci leather jacket for €270. Perfect if you love vintage and designer brands. 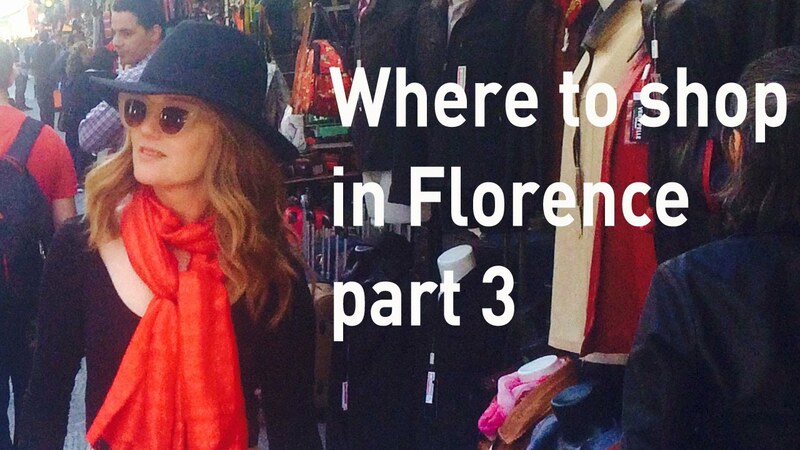 In this video, I take you on a tour of the San Lorenzo market in Florence, Italy. If you like to bargain, then this market is an absolute must for you. There are a lot of different stalls, selling the same kind of thing. Take a look around first before buying anything. Get a feel for the prices so you don't get duped. To get a bargain, you need to be prepared to haggle. Ask for 'special price' and 'best price'. If you are looking for something specific, then you may need to ask around. I was looking for a pair of leather pants. I asked one guy, who asked another and another, but eventually I found what I was looking for. Come around a time when you are going to be a little hungry or even starving. There is an amazing food market here. It is two or three levels with all that your heart can desire food wise. Everything from vegan food to meat dishes. If you want something to take back with you to your hotel room or apartment, the supermarket here is the best of Florence.